In light of a series of deadly terrorist attacks in Paris, France last week, which left 129 people dead, dozens of U.S. states are adamantly refusing to accept Syrian refugees, citing public safety issues. The growing list as of Monday included 24 separate states, all of which but one are currently under Republican leadership. However, security concerns aside, the states' refusals might not actually be legal and have raised a few eyebrows at the State Department. "Whether they can legally do that, I don't have an answer for you," State Department spokesman Mark Toner told reporters in a press briefing on Monday. He added that refugee status meant individuals had legal status in the United States and were legally permitted to move from state to state, regardless of each governors' opinion on the matter. "I think our lawyers are looking into that," he said. Church World Service's Immigration and Refugee Program director Jen Smyers on Monday reiterated that the governors of those states refusing to accept refugees were out of line with federal law. "They don't have the legal authority to stop resettlement in their states — much less to stop the presence of a legally authorized individual based on nationality," Smyers explained in a statement to reporters. "There are really clear discrimination protections against saying someone can't be in your state depending on where you're from." Those warnings did nothing to dissuade the current list of states refusing to accept refugees from moving forward. As of Monday, the list included Alabama, Arizona, Arkansas, Florida, Georgia, Idaho, Illinois, Indiana, Iowa, Kansas, Louisiana, Maine, Massachusetts, Michigan, Mississippi, Nebraska, New Hampshire, North Carolina, Ohio, Oklahoma, South Carolina, Tennessee, Texas, and Wisconsin. In Louisiana, governor and current Republican presidential candidate Bobby Jindal issued an executive order barring Syrian refugees from taking up residence in his state, citing a section of the Louisiana Constitution that allows for the governor to enact "emergency powers" to protect his or her citizens in times of crisis. "As Americans, we embolden freedom and opportunity to the rest of the world," Jindal wrote in a letter to the president, which he posted to his Twitter account on Saturday. "But by opening up our borders and refusing to collaborate or share information with states, you are threatening that reality." Former presidential candidate and Wisconsin Gov. 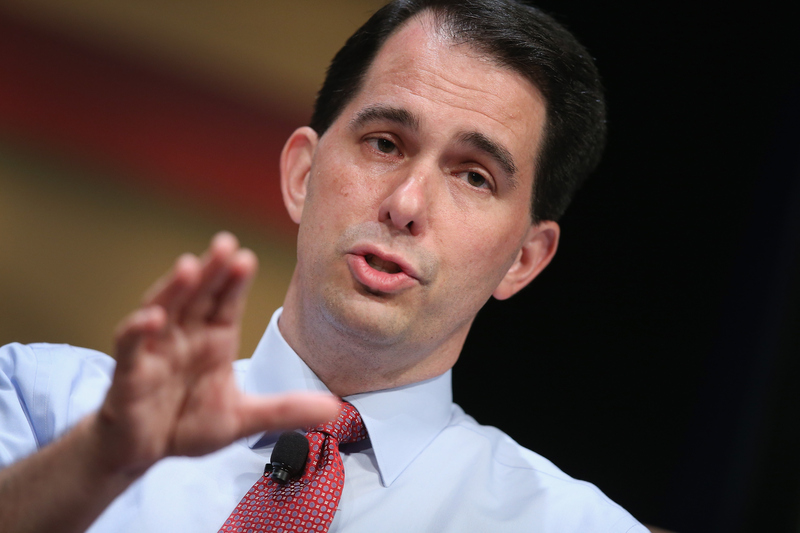 Scott Walker issued a statement of his own on Monday, pointing to concerns over public safety. "I have deep concerns about the Obama Administration’s plan to accept 10,000 or more Syrian refugees, especially given that one of the Paris attackers was reportedly a Syrian refugee," Walker wrote. "There may be those who will try to take advantage of the generosity of our country and the ability to move freely within our borders through this federal resettlement program, and we must ensure we are doing all we can to safeguard the security of Americans." While the majority of the governors on the list cited similar concerns, legal experts say there isn't much they can actually do to stop refugees from entering their borders and settling down. "The one thing I feel very comfortable saying," former chief counsel of U.S. Citizenship and Immigration Services Stephen Legomsky told USA Today, "is absolutely no constitutional power for a state to exclude anyone from its territories." In a column for ThinkProgress on Monday, Center for American Progress Senior Fellow Ian Millhiser noted that a Supreme Court ruling from 1941 in fact placed "supremacy of the national power" in the hands of the federal government, and not under the control of individual governors. "The Fourteenth Amendment guarantees the civil liberties of aliens as well as of citizens against infringement by state action in the enactment of laws and their administration as well," the court wrote in its decision in Hines v. Davidowitz. Although the state held policing powers, they could only be applied within territorial borders and did not override federal law in any way, they explained. While the governors of the states refusing to accept Syrian refugees are convinced that they hold power over the federal government, it seems the law in this case is not on their side. Currently, Colorado, Connecticut, Delaware, Hawaii, Pennsylvania, Vermont, and Washington have said they will accept refugees. And in a surprising show of compassion on Monday, at least one state countered the anti-refugee sentiment by issuing a declaration of its own. "It is unfortunate," said Delaware Gov. Jack Markell, "that anyone would use the tragic events in Paris to send a message that we do not understand the plight of these refugees, ignoring the fact that the people we are talking about are fleeing the perpetrators of terror."